Nigeria’s Super Eagles have moved up by four spots to 44th position in the new ranking by World football governing body, FIFA. 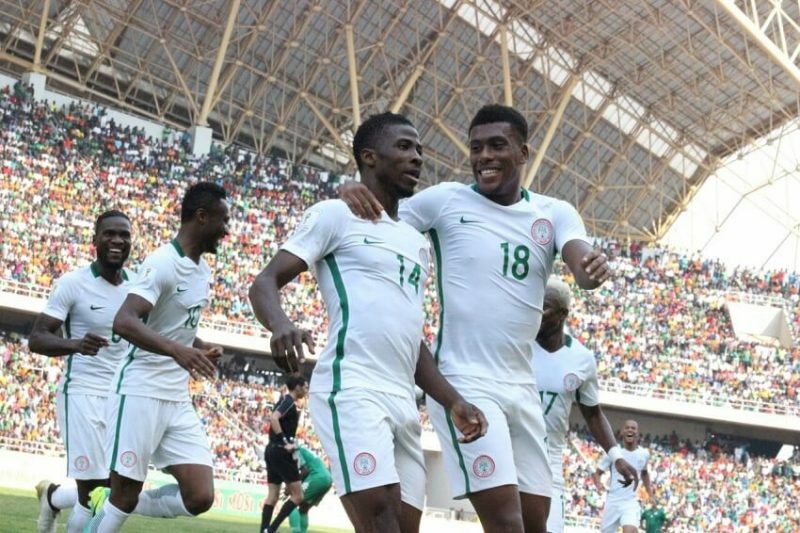 In the ranking table published on FIFA website on Thursday, Nigeria garnered 1431 points in October, placing it third on the continental stage. The coach Gernot Rohr defeated the Mediterranean Knights of Libya 4-0 (home) and 3-2 (away) earlier this month, in the African Nations Cup qualifiers to top the group fixtures. Tunisia is ranked 22nd in the world and Senegal 25th. Congo DR ranked 46th and Morocco 47th. On the global scene, Belgium are now ranked world number one, ahead of France with the narrowest of margin – just one point in the new the FIFA World Ranking. The Belgians have 1733 points to Les Blues’ 1732 points. In September, the two countries were joint leaders, the first time in the table’s 25-year history that top spot had been shared. Recall that FIFA had in June announced it was using a new method named “SUM” to work out countries’ rankings.